Microbiologist and popular podcast guest Dr. Tyler Kokjohn published his latest video today. Alien Abduction Research - The Time Factor explores inherent challenges in the now decades old alien abduction dogma and how some researchers have responded. The Mothman began capturing public attention during November of 1966 in the small community of Point Pleasant, West Virginia. 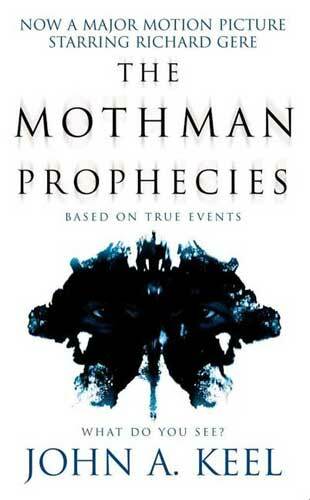 Before long, accounts of glowing-eyed, large flying creatures were documented in a best selling book, The Mothman Prophecies, by John Keel. Keel claimed there was much more to the mystery than the reported sightings of the bizarre creature, interesting as such sightings may have been. High strangeness surrounding Point Pleasant included UFO sightings, ominous Men In Black lurking around and visits from Indrid Cold, a strange being indeed. By the time Keel got his book to print, circumstances reportedly included telephone conversations with the apparently telepathic Cold, who, according to Keel, claimed he did not know where he originated. The February, 2014 edition of Soldier of Fortune magazine contains a most interesting piece written by Harold Hutchison. The article suggests that Special Forces were conducting exercises in the Point Pleasant area during the time in question. Hutchison reported that such exercises included testing of high altitude, low opening (HALO) parachutes. Green Berets conducted the exercises at night, according to Hutchison, and wore luminous paint. Such circumstances would obviously be extremely significant and most interesting. A number of potential avenues of research present themselves. Unfortunately, Hutchison provided no specific references for the reported information. He offered no sources for his research and did not explain exactly how he came to know about the circumstances. The UFO Trail subsequently emailed Hutchison twice, requesting references. No replies were received. Several other contacts were asked if they had any knowledge of declassified documents or similar authenticated sources for the reported information. As of this post, no such sources have yet been identified. Dennis Dufrene of Top Secret Writers published an article on Hutchison's Soldier of Fortune story. Top Secret Writers is a recommended site due to their credible reporting on fringe topics. It is particularly appreciated for the consistent attention given to providing references and sources. In the comments section of Dufrene's article, I inquired about any knowledge he may have of Hutchison's sources. Dufrene replied in part, "As far as the Hutchison story, his lack of citations concerns me. So much so, that I was not sure if I was going to write the story. His article is not only void of citations, but also an[y] credible witnesses (or any witnesses at all). He do[es] not even state how he came across this information. "Just as I am sure you have done, I have looked for documents, interviews of personnel or witnesses, etc and have yet to come across anything that states or even implies Green Berets (or any military entity) was involved." Hutchison's lack of references for his claims is indeed concerning. Sharing such sources would be helpful in furthering research of a most interesting case. As regular readers of The UFO Trail well know, the concept is not new to this blog of intelligence community tampering in ufology and shaping public opinion. If Hutchison's research could further our understandings of such circumstances, his efforts would be most appreciated. In the mean time, his article will remain just another footnote of a bizarre story. After nearly a half a century now, the Mothman saga still creates more questions than answers. I have learned a few things from my interactions with members of the UFO community. Among those things is that the general public wants to believe one thing or another, and they want it to be fast, simple, complete and permanent. Trouble is, that is not reality. Circumstances surrounding witnesses and researchers are frequently complex. Further complicating matters is the fact mistakes may be made any number of ways. People err in judgment, assessing circumstances, assessing other people and all kinds of ways. Unfortunately, the public wants to read or hear about something and unquestionably count on it - forever, never to be changed or even expanded upon. Again, that is just not realistic, at least not if you want the truth of what takes place. I have learned there are rarely conclusive white hats and black hats. Similarly, no one either lies all the time or is completely honest and never mistaken. Neither can you file witnesses and researchers away under such categories as honest or insincere without revisiting their status as time goes by and situations evolve. Tales of two cities and all that. Also, the public wants to decide they either like or hate someone – forever and quickly. They want to believe or reject a story, and they want to either be angry or pleased with someone's actions. Reality is of course more complex than that, and people do and say various things for any number of reasons, sometimes good, sometimes bad and sometimes under duress, later wishing they had conducted themselves in a different way. I learned people do not want to be told you don't have a conclusive answer, although often times you don't. They don't care and they will frequently create their own conclusive – and permanent – answer/assumption, sticking to it long after newly discovered facts might indicate otherwise. People change their minds about what they believe and what they think happened to them. Sometimes they are willing to say so but most of the time they are not. So-called ufologists particularly do not want to talk about changing their minds. They will almost never revise or update their work, and some of them will even outright tell you that if they change their minds, they won't publicly admit it. What's more, they will sometimes shamelessly continue promoting the old and incorrect perspective. People, not just minds, change. The person you met years ago may not have the same ethics or values as they do today. People could be close at times, trust one another, work together and even wed, yet later completely distrust one another. The reverse applies as well; mutual ufology mudslingers of yesteryear may unite when confronted with common enemies and goals, particularly if public interest in their mudslinging has waned. The actual emotional impact and details of circumstances you read about, if true, are deeper and more significant to people than can typically be adequately transferred in media. That is virtually always the case. Understanding and being conscious of such circumstances when you read and hear about sagas spanning many years would assist in more accurately understanding those sagas. The UFO trail actually winds through lives, not spaceships.